We are delighted to be joined by members of Birmingham St Mary’s Hospice Choir and nurses from Birmingham Children’s and Women’s NHS Trust for the world premiere of A time to be born and a time to die. The concert will end at around 9.30pm. 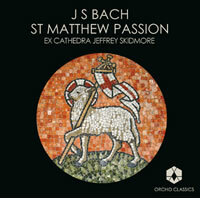 Listen to excerpts and buy copies of our recordings of Bach’s St Matthew Passion and Alec Roth’s cantata A Time to Dance. This concert forms part of the newly revived biennial Birmingham Festival of Early Music (4-17 February), which also includes our performance of Purcell’s The Indian Queen. Full festival details to follow.